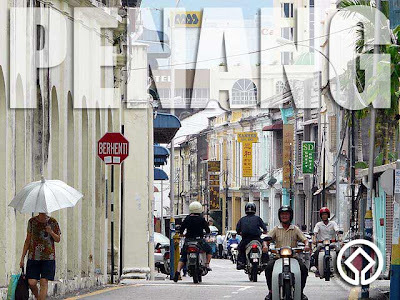 Intangible heritage, particularly traditional trades and local cuisine, is very much a part of the Penang cultural landscape. I was quite pleased that some of these trades were identified in Penang maps. 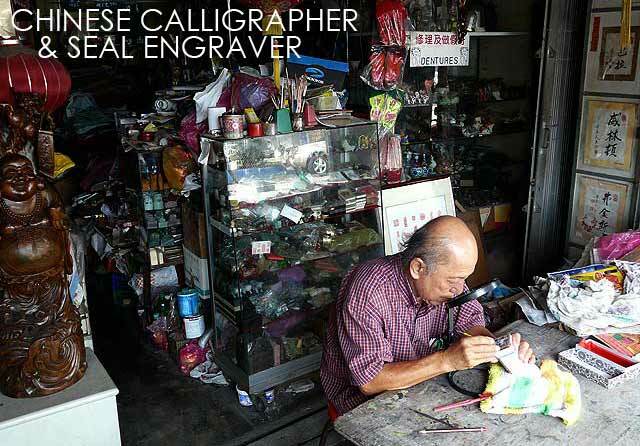 I got to see several of them while walking around old Penang such as the Chinese calligrapher and seal engraver who carves personal chops to order. 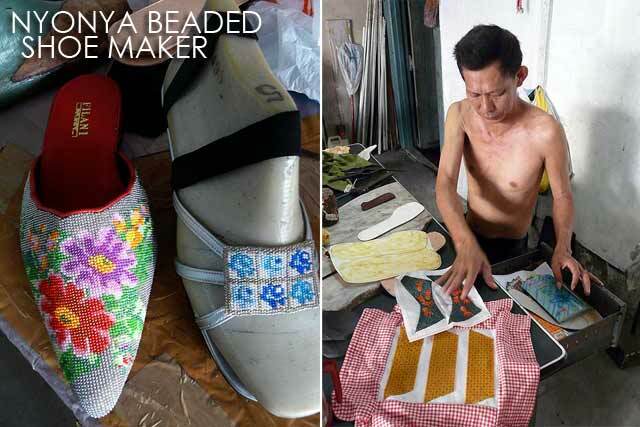 I also got to pass by the Nyonya beaded shoe maker who crafts women's shoes with beadwork faces. The designs are very colorful and intricate and I found out it takes several weeks just to complete a pair. Near the Goddess of Mercy Temple is a joss stick maker who rolls incense and sandalwood sticks by hand. 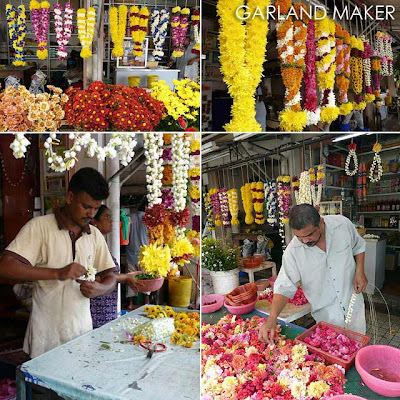 Also near the temple are several garland makers who create colorful flower garlands which Hindus adorn on statues of their deities. Other trades worth seeing in Penang include the Indian goldsmith who hand tools gold jewelry in traditional Indian designs, the signboard engraver who carves and gilds Chinese calligraphic plaques, the songkok maker who sews Muslim headgear on an old fashioned sewing machine, and the tombstone engraver who chisels Chinese and Muslim gravestones by hand. Penang is also a culinary delight. 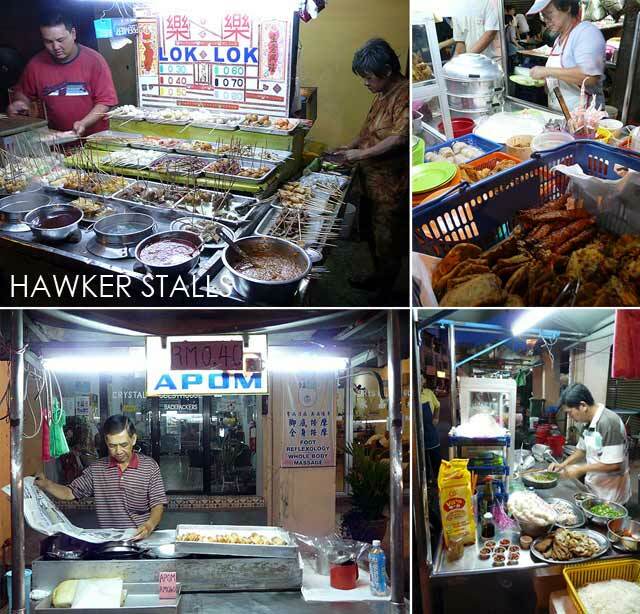 Another testament to its multicultural setting, you can get the best of Penang food from road-side hawker stalls. It's such a shame I missed trying out the Penang laksa, a spicy and sour tamarind-based fish soup with thick round rice noodles. 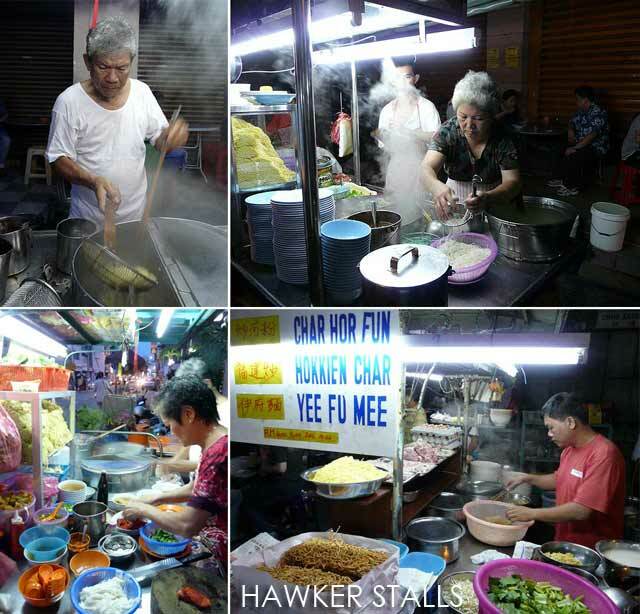 One of the more popular hawker areas is actually several kilometers outside old George Town in an area called Gurney Drive. 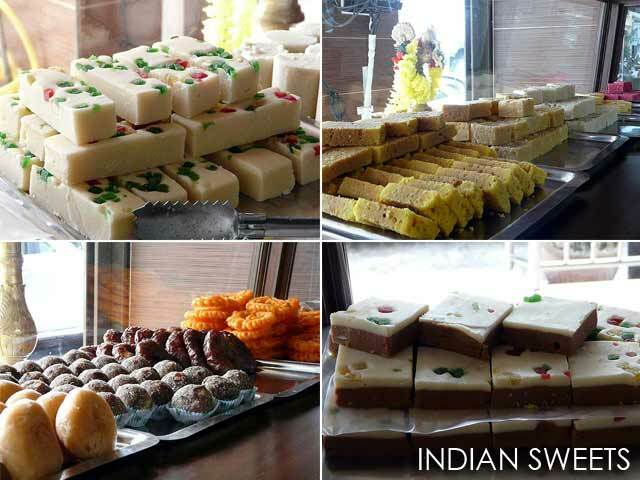 The choices there are endless and it's a must visit for any serious foodie. But inside George Town, you won't go wrong as well since hawkers set up shop, especially as day gives way to night. Anyway, while walking around George Town, I'd stop to taste something that looked interesting. 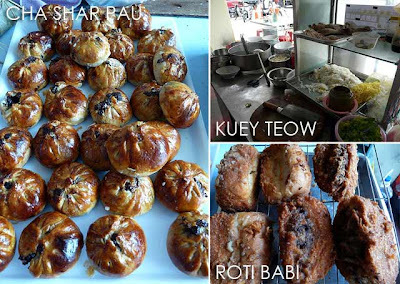 Since I was on the go, I had cha shar pau and roti babi which I saw at Pitt Street Koay Teow Th'ng to satisfy my hunger. The colorful Indian sweets got me really curious as well. 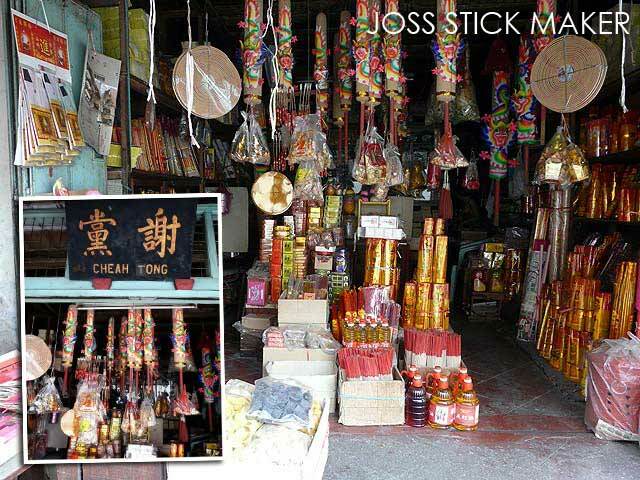 But I would later realize they were like sweeter versions of our already sweet pastillas candies. In the evening, I tried out the local satay as well as several noodle dishes such as wan tan mee and sui kau. I didn't want to eat too much. So I was content with walking around and observing all the hawkers cook their signature dishes.